Welcome to Wi-Fi Central, a knowledge base about improving home wireless networks, and insight into how Wi-Fi technology works. 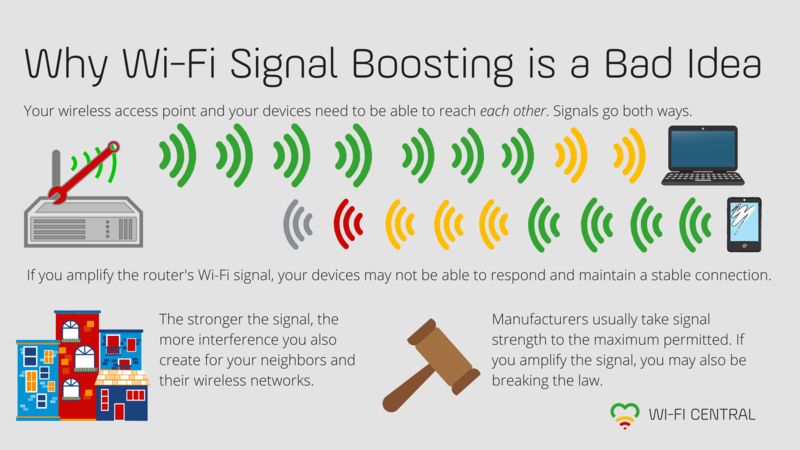 A quick overview of the required Wi-Fi signal strength for different online activities. What’s in a name? For a wireless network, a great deal, as its setup may even affect network performance. 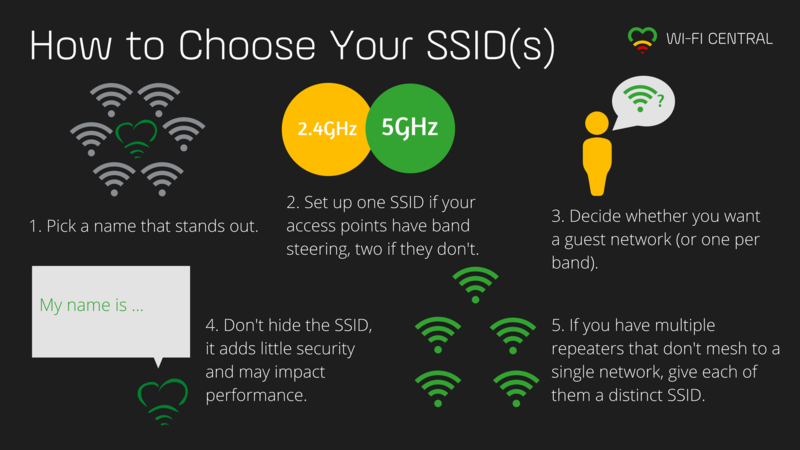 Here is a five-step guide to finding the best SSID setup for your network. The very first Wi-Fi standard came out in 1997. In the years since, the technology has spread like wildfire—but where did it come from? Who should we be thanking? It sounds like something out of a self-help book: Wi-Fi clients who love their access points too much and won’t let go of a bad connection. These clients are a very real problem in Wi-Fi. 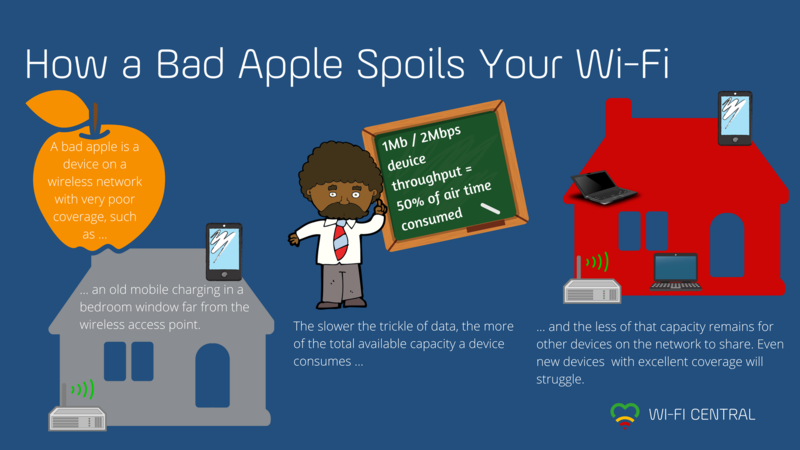 It’s true: The slower a device’s connection, the more Wi-Fi capacity it consumes. Worst case, it becomes a bad apple and makes the entire network suffer. Here’s how it happens and what you can do. Which Building Materials Can Block Wi-Fi Signals? 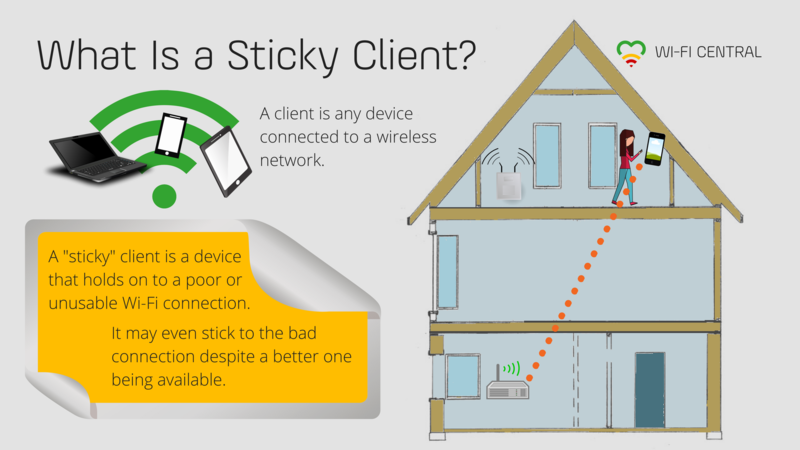 Are you curious why a part of your home, or even an area just outside the house, has poor Wi-Fi reception? It could be due to the material used for the wall, or other physical barriers that block or weaken Wi-Fi signals. Note to neat freaks: If you keep covering your access point up, you are actively making your home Wi-Fi a lot worse than it needs to be. Wi-Fi band steering detects what a wireless device supports and automatically steers it to the best available frequency band when connecting to a Wi-Fi network. The internet is full of tips and tricks for fiddling with or extending router antennas to “boost” your Wi-Fi signal. Don’t take that advice. Here are three reasons why it’s a bad idea. Wi-Fi Central is an open knowledge base from the team behind EyeSaaS, which is a service platform for Internet Service Providers. We want Wi-Fi Central to act as a resource for ISPs, but also for anyone curious about how Wi-Fi works or in need of improving their home wireless network. If you have suggestions, ideas, questions, corrections: please get in touch! We also invite you to visit Wifi-sentralen, the Norwegian version of Wi-Fi Central. The EyeSaaS name, our logo, and the Wi-Fi heart are all registered trademarks of Eye Networks AS. Eye Networks AS is certified as an eco lighthouse and is a member of Green Dot Norway.